sica = findStructuralIC(structuralmodel.InitialConditions,RegionType,RegionID) returns the initial displacement and velocity assigned to the specified region. 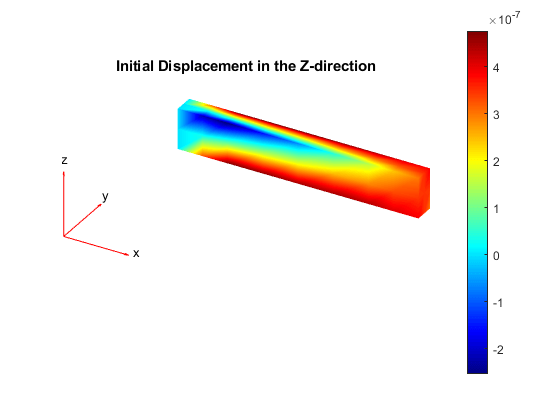 Find the initial displacement and velocity assigned to the cells of a 3-D geometry. 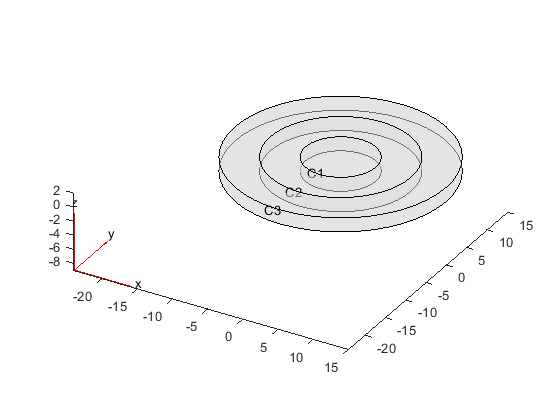 Create the geometry consisting of the three nested cylinders and include it in the model. Plot the geometry. Set the initial conditions for each cell. When you specify only the initial velocity or initial displacement, structuralIC assumes that the omitted parameter is zero. Check the initial condition specification for cell 1. 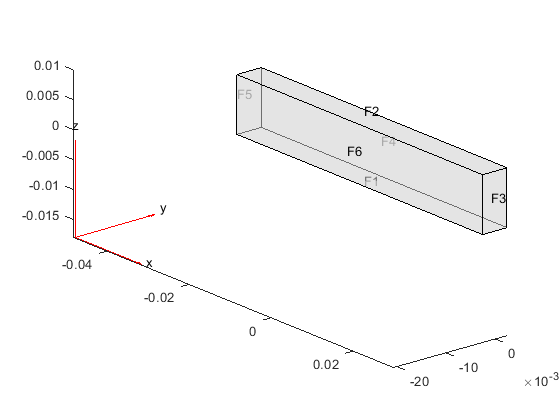 Use a static solution as an initial condition for a dynamic structural model. Check and plot the initial displacement. Check the initial condition specification for dynamicmodel. Plot the z-component of the initial displacement. Initial conditions of a transient structural model, specified as the InitialConditions property of a StructuralModel object. Geometric region type, specified as 'Face', 'Edge', or 'Vertex' for a 2-D model or 3-D model, or 'Cell' for a 3-D model. Structural initial condition for a particular region, returned as a GeometricStructuralICs or NodalStructuralICs object. For details, see GeometricStructuralICs Properties and NodalStructuralICs Properties.